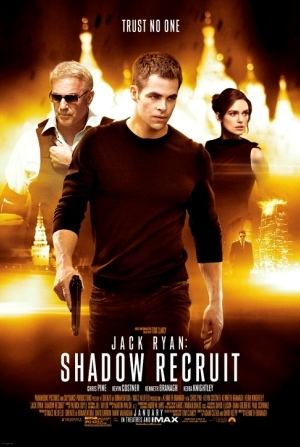 It should be noted upfront that Paramount’s Jack Ryan: Shadow Recruit, a modern day reboot of the iconic Tom Clancy hero made famous by Alec Baldwin in The Hunt for Red October and Harrison Ford in Patriot Games and Clear and Present Danger, isn’t your typical January release. The film was originally scheduled to check into theatres on Christmas Day, but when Martin Scorsese’s The Wolf of Wall Street was delayed for a month to also open on that date the studio found themselves in something of a quandary. Two big budget entertainments scheduled for the same day was too much for the Hollywood heavyweight meaning something had to give. 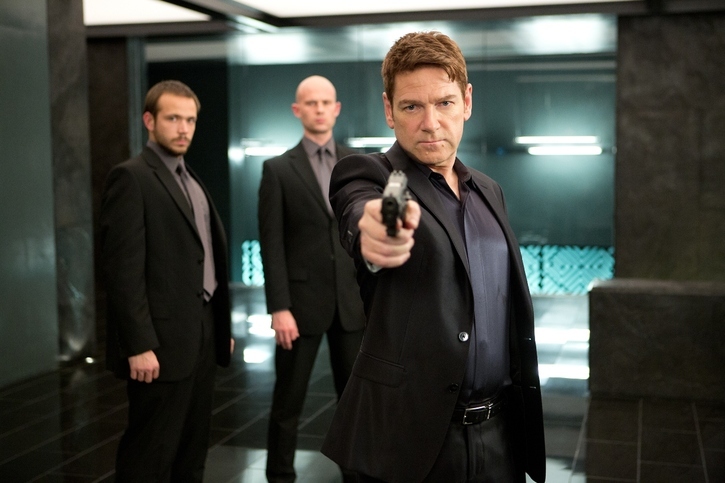 That something was this Kenneth Branagh directed thriller, dropped by Paramount into what typically is a Hollywood studio dumping ground where films of this sort are unceremoniously sent to die. Funny thing is, this Adam Cozad and David Koepp (Premium Rush, Jurassic Park) scripted thriller is actually pretty good, doing a fine job of bringing the titular character into a new era while staying true to Clancy’s literary origins. Not great, mind you, but certainly entertaining (and a damn sight better than 2002’s The Sum of All Fears with Ben Affleck), and considering what usually passes for January multiplex fodder “entertaining” is more than good enough for me. I helps that Branagh and company do not attempt to transform Ryan into something he’s not. They remember that, at his core, he is an analyst and an intellectual first and a man of action and impulse second, thrust into chaos and violence reluctantly wanting to use brain before brawn whenever possible. They also keep his backstory, and while the circumstances revolving around a pivotal helicopter crash have understandably changed how they lead him to both the C.I.A. and into the arms of future beloved pediatric eye surgeon Cathy Muller is more or less the same. 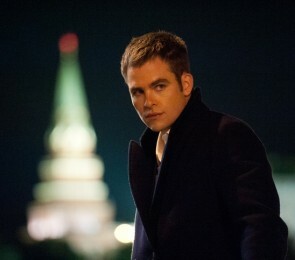 Chris Pine leaves the Enterprise’s command deck to tackle the roll of Ryan, while former Academy Award nominee Keira Knightley (sporting an admittedly spotty accent) picks up a paycheck between prestige pictures to inhabit the visage of his beloved Cathy. They two have great chemistry, investing themselves with enthusiasm and relish inside their respective characters. All the same, neither is going to make one forget about Baldwin, Ford or Anne Archer, and as good as they are they’re only skimming the surface as far as depth and emotional nuances are concerned. Thankfully, Branagh’s other main casting choices are perfect, the director himself choosing to portray the film’s chief villain, Russian financial mastermind Viktor Cherevin, while also bringing aboard a quietly laconic Kevin Costner to give life to Ryan’s C.I.A. mentor Thomas Harper. Both are terrific, refusing to chew scenery even when opportunities arise instead choosing to find the inherent complexities lurking within both of their diametrically opposed yet patriotically inclined characters. They bring a gravitas and a majestic quality the thriller never could have achieved otherwise, the first two-thirds a fascinating cloak and dagger affair that does Clancy proud. 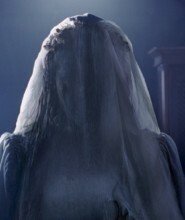 If there are problems, and sadly that goes without saying, they frustratingly occur during the film’s final act. What had been a smart, honestly authentic ticking clock barnburner revolving around economic and financial terrorism suddenly transforms into a standard Bond-meets-Bourne affair complete with a real ‘ticking clock’ counting down to a catastrophic kaboom. It’s standard, not particularly interesting, stuff, Ryan running through the streets of New York doing his best John McClane impersonation while he hops a motorcycle and beats down trained terrorists with relative ease. It’s pretty silly, bordering on nonsense, and if not for the strength of Branagh’s dynamic staging and the energy propelling Pine’s performance it’s doubtful my feelings for the movie itself would be near as positive. 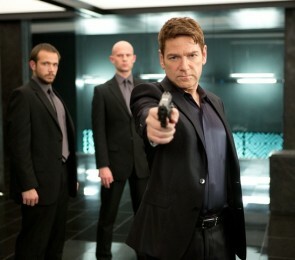 It helps considerably that two central set pieces, one an early confrontation between Ryan and an unforeseen attacker in his hotel room, the other a signature piece of human-meets-technological subterfuge reminding one of similar sequences in Patriot Games and Clear and Present Danger, are superb. Branagh has a flair for this sort of thing (Thor more than proved that), the Shakespearean wunderkind keeping things focused and direct, never going overboard with quick cuts or unnecessary camera moves that could potentially distract. He’s old school as far as framing goes, allowing cinematographer Haris Zambarloukos (Sleuth, Venus) to use shadow and light in ways that are consistently intriguing while also making sure the central dynamics of any given scene are never in doubt. 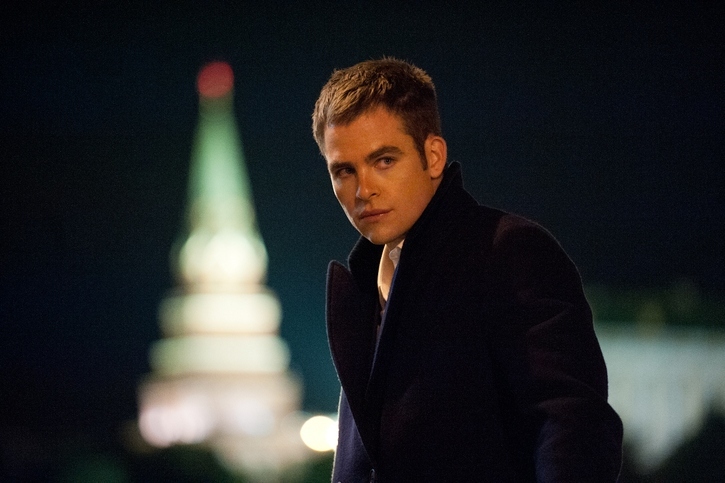 Jack Ryan: Shadow Recruit, clunky title aside, does a nice job of making Clancy’s hero relevant again. It brings him into the post-9/11 world with invigorating and suspenseful aplomb, and while Branagh’s effort doesn’t rise to the same heights as the two Phillip Noyce directed efforts with Ford, and is certainly light years away from the near-perfection of John McTiernan’s The Hunt for Red October, it’s still a solidly entertaining thriller that’s easy to enjoy. I liked it. More, I’d actually be curious to see what adventures this new iteration of the character could potentially be hurtling towards next.